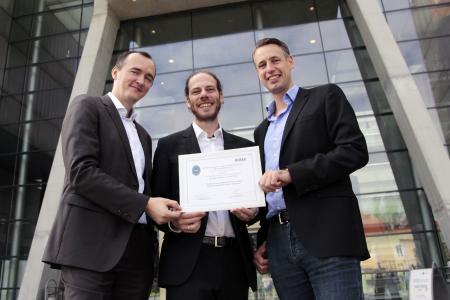 Salzburg University of Applied Sciences recently received a Best Paper Award for its SGAM Toolbox for model-based engineering and evaluation of “smart grid” architectures. The Toolbox is an innovative extension developed for Enterprise Architect, the popular modeling platform produced by Sparx Systems. Vienna, Oct. 11, 2016 - An essential part of the coming energy revolution is the realization of an intelligent power network, the so-called “Smart Grid”. Back in 2014 the Salzburg University of Applied Sciences introduced its SGAM Toolbox, an add-in for Sparx Systems Enterprise Architect that enables model-based development and evaluation of Smart Grid architectures. June of this year saw the presentation of the now further-developed Toolbox at the 11th International IEEE Conference “System of Systems Engineering” in Kongsberg, Norway, where the scientific whitepaper entitled “A Standards-based Approach for Domain Specific Modeling of Smart Grid System Architectures” received the Best Paper Award. Intelligent power networks, or Smart Grids, are the electrical power grids of the future. However, they can only become a reality if they can find acceptance among users. This is where visible and trustworthy measures are required to ensure users’ data privacy, data security and control. The research conducted at the Josef Ressel Center focuses on relevant technical solutions: Mechanisms, processes, algorithms...computer programs in the broadest sense. Legal and social aspects are observed wherever necessary, with evaluation being carried out under the supervision of social scientists. 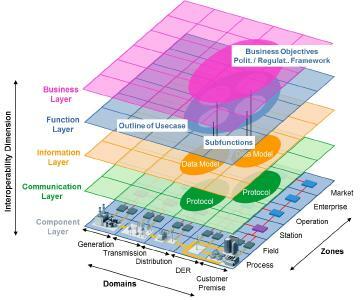 Sparx Systems, founded in Australia in 1996, is the producer of Enterprise Architect – one of the most successful UML modeling platforms in the world. Enterprise Architect enables the conceptualization and creation of software systems, business process models and models of any process or system. Enterprise Architect is valued by over 380,000 users for its high level of performance at an unbeatable price. Enterprise Architect is an intuitive modeling environment geared towards teamwork, supporting organizations in analyzing, designing and creating comprehensibly traceable, well-documented systems. It enables organizations to concentrate and present the work of teams and departments, regardless of size or geographic distribution. In order to offer the growing number of Enterprise Architect customers the best level of service in their own language and timezone, in 2004 SparxSystems Software Central Europe was established to serve the German-speaking world and adjacent markets with Sparx EA licenses, training and consulting. I am an extrovert promoter and results-oriented controller and director. It like creating new partnerships and relations. I like people that are talking with me and it is important for me to help and motivate others. I'm very self-motivated and I prefer doing thinks I really like. I need a lot of creative and open space. But I also need people doing the administrative tasks and people realizing the ideas.